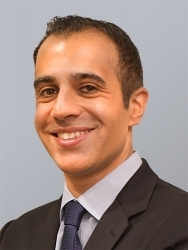 Port Jefferson Station, NY, March 27, 2019 --(PR.com)-- New York Health, a physician led specialty practice announces today that Dr. Rohit Reejsinghani has been appointed as its Executive Director. Dr. Reejsinghani is Board Certified in Internal Medicine and is a Fellow of the American College of Physicians. Dr. Reejsinghani has previously served as the Associate Chief Medical Officer of Long Island Jewish Forest Hills Hospital (Northwell Health). Most recently, he served as the Regional Vice President and Medical Director of Heritage Healthcare Partners NY - Western Region. Dr. Reejsinghani has also worked in acute inpatient care as a hospitalist at Mount Sinai St. Luke’s and Mount Sinai West Hospitals. Dr. Reejsinghani received his Bachelor’s Degree in Economics from New York University, and his Medical Degree from New York College of Osteopathic Medicine. He completed his residency in Internal Medicine at New York Presbyterian Queens. During his time as a hospitalist, he also earned an MBA from the Leonard N. Stern School of Business at New York University, graduating with honors in Business Strategy and Negotiations. NY Health is growing to become the premier network of independent physicians. Currently, we have specialties ranging from Nephrology to Urology, complimented with Physical Therapy. All Physician Staff are Board-Certified in their respective specialties. NY Health provides personalized, highly professional care to all of its patients. NY Health’s underlying commitment is high quality, comprehensive care.